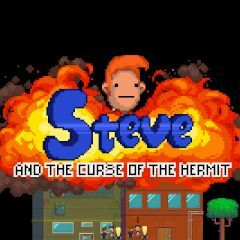 Steve is cursed and wants it to be dispelled. He doesn't know how to do this, but this is not what he is concerned about. People who recognize him walk forward and explode after few seconds. This is not what Steve likes. Help him to accelerate and dodge all exploding people on his way, before you run out of hearts.